This live coverage was updated in real time on July 16 as events occurred. St. Paul's Episcopal Church, 305 W. Seventh St., will remain open until 8 p.m. tonight. All are welcome to enter through the front doors for prayer in the Nave. In response to the shooting today in Chattanooga, a prayer vigil is planned for 7:30 p.m. tonight at Wesley Memorial United Methodist Church at 6314 East Brainerd Road. The Bessie Smith Cultural Center will be hosting a prayer vigil on the lawn of the center on Friday at 5:30 p.m. to pray for the City of Chattanooga. "In light of the tragic shooting that took place in our city, let's unite as a community in an act of solidarity and compassion and pray for our community," said Dionne Jennings, President of the Bessie Smith Cultural Center. Anyone wanting to participate is welcome to join. Mourners gathered across Chattanooga Thursday night to honor the Marines killed in a bloody rampage in two attacks at military installations in the city. Hands and hearts were raised, up away from low places, far away from the violence that shattered the Scenic City earlier in the day. They met at Shepherd Road, at Abba's House, at Redemption Point, at Saints Peter and Paul Catholic Church, and at Wesley Memorial United Methodist Church. During one one service, a clip from a 1985 Memorial Day speech given by then-President Ronald Reagan played. "Sometime back," said Reagan, "I received in the name of our country the bodies of four Marines who had died while on active duty." It is a debt which can't be repaid, Reagan continued. It carries "a special sadness" because "we are never quite good enough to them." "When they died, they gave up their chance to be husbands and fathers and grandfathers," said Reagan. "They gave up their chance to be revered old men. They gave up everything for their country, and for us. And all we can do is remember." Mourners across the city prayed for healing for the wounded, and peace for the survivors of the brazen attack on two military facilities in Chattanooga in which four Marines were killed, leading to lockdowns at the Army Recruiting Center on Lee highway as well as the Naval and Marine Reserve Center at the Chattanooga Riverpark, as well as local hospitals. The attacks, which happened minutes apart, began when a single shooter, identified as 24-year-old Mohammad Youssef Abdulazeez, drove a silver Ford Mustang convertible to a Lee Highway recruiting center at 10:45 a.m and fired more than a dozen rounds into the building. After his initial barrage, he led responding police officers on a high-speed chase down Amnicola Highway to a second military installation, where he opened fire again and was killed after a gun battle that one witness estimated lasted 20 minutes. Three victims were rushed to Erlanger's Trauma Center, including a Chattanooga police officer and two members of the military. One of those patients was discharged from Erlanger this afternoon; the other two are still being treated. Including the victim, the violence claimed five lives, with three more wounded. Officials have said the shooter died during the attack, though they did not say how he died. During the attack on Amnicola Highway, numerous Chattanooga and Hamilton County officers "actively and enthusiastically" engaged the suspect, said Chattanooga Police Chief Fred Fletcher. The motive behind the attack, which the FBI said came without warning, is still under investigation. A U.S. official said there was no indication Abdulazeez was on the radar of federal law enforcement before the shootings, according to the Associated Press. While the names of the victims have not been released, they were part of a reserve unit that specializes in artillery. Its members have been activated three times for service in the Iraq War. During its first deployment from 2004 to 2005, the unit participated in the Battle of Fallujah, making history for firing more rounds as an artillery battery than any other since Vietnam. The unit deployed stateside in 2005 to provide humanitarian relief in New Orleans after Hurricane Katrina. A group of 32 of the unit's Marines was asked to deploy to Iraq in 2006. The collected toys for Toys for Tots annually. Tennessee Gov. Bill Haslam called the situation a "tragedy" and "sickening." The Governor's mansion, along with many other sensitive facilities in the region, was put under heightened security immediately following the shootings. In Washington, President Barack Obama pledged a prompt and thorough investigation and said the White House had been in touch with the Pentagon to make sure military installations are being vigilant. "It is a heartbreaking circumstance for these individuals who served our country with great valor to be killed in this fashion," he said. U.S. Attorney Bill Killian said during a press conference that he would classify the violence as an "act of domestic terrorism." Witnesses at both the Amnicola and Lee Highway sites reported hearing multiple gunshots in each case, with the installation at Amnicola Highway seeing the bulk of the violence. Shortly after the shooting, blue markers littered the ground outside the recruiting station on Lee Highway where shots were fired, and police completely blocked off Amnicola Highway to traffic. A photo taken after the attack from a helicopter and posted on Twitter showed the shooter's Ford Mustang with doors opened, parked next to a bent gate that was positioned in such a way that it appeared to have been rammed by his vehicle. A sign on the outside of the Lee Highway location had a "no guns allowed" sign posted. During the news conference, the FBI confirmed that guns were generally prohibited at federal facilities. Carolyn Taylor, who works at Binswanger Glass across Amnicola Highway from the incident site, said she heard what sounded like over 100 gunshots. "It was eight, 10 rounds at a time," she said. "Several people were shooting." Taylor said the police arrived and took the employees behind the building and later let them back inside. She said the business was still locked down more than two hours after the shooting and police were bringing food into the employees. At the Lee highway location, witnesses also reported hearing multiple gunshots. Nicholas Donahue, an employee at Desktop Solutions, said he heard two groups of four to eight shots. Another witness said he saw the shooter drive away at high speed after the shooting at Lee Highway. Toscano Italian Grill co-owner Mohamed Elbardissy heard shots and saw the shooter drive away at high speed. "He was driving a silver, convertible Mustang — a white guy," Elbardissy said. "One of the guys, he got shot in his leg," Elbardissy said. "[The victim] was trying to join the Navy." Victims were rushed to Erlanger, where police officers put the hospital on lockdown. Shortly after the shooting, there were more than half a dozen police cars with lights flashing, and ambulances arrived one after another. Police officers at Erlanger guarded the door with high powered rifles and ordered the news media away from the entrance. Erlanger's CEO told a reporter the hospital was on lockdown "so that we could actively manage the disaster." Who was Mohammad Youssef Abdulazeez? At one point, officers closed a curtain outside the Emergency Room, obscuring the ambulance from public view. They continued to work on the person in the ambulance for several minutes before bringing him inside the hospital. He appeared to be awake and sitting up. Family members arrived later at the hospital and were escorted inside by other police officers, who put their arms around the women. Bruce Gans, owner of Tri-State Pools at 6220 Perimeter Drive, near Lee Highway where the shooting occurred at the U.S. Naval Recruiting Station, heard at least three gunshots this morning. "We had the back door of the store open when we heard 'Pop, pop, pop,' which sounded liked an AR-15. Within minutes, it seemed, cops were all over the place. We heard rumors that five Marines had been killed. We locked the doors." "I just heard all the shooting," said Fred Wright, a counter salesman at Carquest Auto Parts downhill from the U.S. Army Recruiting Office at 6219 Lee Hwy. Then Wright saw recruiting office personnel come running. "All of them starting running through the brush and the briars," Wright said. "One of them was yelling, 'Call 911, someone's shooting at us.'" "Three of them came in here, and we called 911," Wright said. Abdulazeez is believed to have been born in Kuwait, but it was unclear whether he was a U.S. or Kuwaiti citizen. It was not immediately clear whether the gunman's first name was spelled Muhammad or Mohammad. Federal agencies have given several spellings. Abdulazeez is from Hixson, Tennessee, which is just a few miles across the river from Chattanooga. He was booked for a DUI in April 2015. 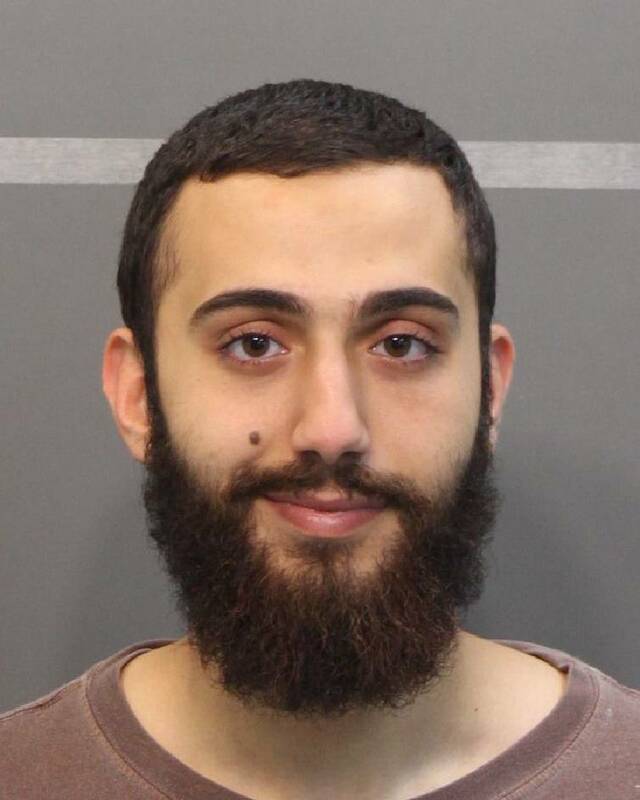 A man named Youssuf Abdulazeez attended UTC, spokesman Chuck Cantrell said, and graduated in 2012 with a degree in engineering. Abdulazeez was a student intern for TVA five years ago while he was at UTC. He did not work at either of the facilities he attacked Thursday morning, according to the FBI. He wrestled in high school and became an MMA fighter afterward, according to Ryan Smith, who was a year behind Abdulazeez at Red Bank High School. Abdulazeez's family was very religious, Smith said. The women in Abdulazeez's family wore traditional Islamic head coverings, Smith said. The FBI and other agencies raided Abdulazeez's house shortly after the shooting. A reporter saw a SWAT team and FBI agents staging at a strip mall in Hixson near the shooter's house. Shortly before the raid, police in Hixson kicked a reporter out of the neighborhood that contained a house apparently owned by Abdulazeez. the Associated Press reported that two women were led out in handcuffs. Abdulazeez allegedly killed four Marines and shot one police officer in the attack at Amnicola Highway. A soldier and a police officer were wounded in the attack, according to the Associated Press. Dennis Pedigo, a Chattanooga police officer, is in stable condition. Abdulazeez's father, Youssuf Abdullazeez, was appointed as a "special policeman" for Chattanooga's Department of Public Works in March 2005. Bradley Square Mall in Cleveland, which also has a recruiting office, was also locked down after a "shots fired" call. However, after clearing the mall shortly before 2 p.m., police said that there was no shooting in Bradley County. It was set to reopen at 5 p.m.
Chattanooga State Community College, which is down the road from the shooting on Amnicola, was also on lockdown until further notice, said spokeswoman Eva Lewis. Lewis said she could see Chattanooga Police and Chattanooga State patrol cars circling around campus. A Rave alert was sent out to students warning those on campus to get inside and stay put and those with classes now and this afternoon to stay away, she said. The lockdown was lifted after police said the "active shooter" situation was over, but Lewis said the campus will close for the day. The campus was being closed for the day out of respect for the families of the victims, and in recognition of the emotional day for students' parents and the students themselves, she said. Chattanooga State's campus on Amnicola HIghway will return to a normal schedule on Friday. About an hour after the shots were fired in Chattanooga, McMinn County Sheriff Joe Guy said officers were sent over to the area around the recruiting center in Athens, Tenn., "just as a precaution." Sympathy poured in from around the country for the shooting victims. Gerald McCormick, Tennessee house majority leader, said he was "deeply saddened to hear of today's horrific events in our hometown of Chattanooga." "My thoughts and prayers are with the victims and their families. I have been in contact with state and local officials to monitor any developments. I have the utmost confidence in our law enforcement agencies to handle this situation in a swift and professional manner."